Established in 1984, PT Apexindo Pratama Duta Tbk (Apexindo) is the only Indonesian drilling contractor with offshore and onshore drilling capacity for oil and gas, geothermal and coal bed methane industries. With its high quality and highly maintained fleet of seven offshore rigs (3 jack-up and 4 swamp barges), eight onshore rigs and one FPSO vessel. 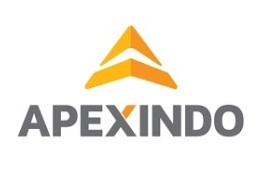 Apexindo has been drilling for clients which include some of the largest international and domestic energy companies. The Company’s commitment in providing quality without compromise has resulted in long and solid relationship with its clients, and exceptional achievement in Safety, Health and Environment (SHE) aspect. Experience in hydraulic preservation, flushing, and hydraulic control systems. Good command in English, both written and spoken. Ability to liaise and discuss inspection findings with pipe inspectors. Minimum 5 years as Chief Electrician or Maintenance Supervisor (standalone) on a 1000-2000HP drilling rig. Prior work Experience with OEM (CAT /NOV/ ABB/ Siemens) a plus. OEM training and certification considered a plus. Essential: Minimum Vocational / Trade School certified (Industrial Electrician / licentiate) from a recognized institute. Minimum 5 years as Chief Mechanic or Maintenance Supervisor (standalone) on a 1000-2000HP drilling rig. Prior work Experience with OEM (CAT /NOV/TESCO) a plus. Essential: Minimum Vocational / Trade School certified (Millwright, Heavy Diesel Mechanic) from a recognized institute. Have occupational health and safety knowledge and experience. Minimum High School graduates or equivalent. Proficiency in English (written & oral). Have good communication and supervisory skills. Having good planning and organizing skill. Fraud warning! PT Apexindo Pratama Duta Tbk and its affiliates DO NOT charge candidates fees or request payments of any kind at any point during the recruiting and onboarding process. Thanks for reading Apexindo Pratama Duta Tbk Jobs: 10 Positions. Please share...!